Hurricane Maria, strengthened to a “potentially catastrophic” category five storm, tore into the Caribbean island of Dominica with sustained winds of 160mph (260km/h). Dominica, a former British colony with a population of 72,000, is snuggled between Martinique and Guadeloupe. The hurricane made landfall at around 9:00 PM. Residents who live near coastal areas were ordered to go to authorized shelters. All airports and ports are closed. Prime Minister Roosevelt Skerrit, posted on Facebook that his roof had been torn off and he was “at the complete mercy of the hurricane.” His house was flooded, and he had to be rescued. Hurricane Maria is expected to travel the same path as Irma and is likely to hit some of the same islands devastated by Hurricane Irma. Warnings are in effect for St Kitts and Nevis and Montserrat while hurricane watches are in place for St Martin, Saba, St Eustatius and Anguilla. The nearby island of Martinique declared a maximum-level alert while another French island, Guadeloupe, ordered evacuations. Puerto Rico: Maria is expected to make landfall as a category three on Tuesday on this US territory. It escaped the worst of Irma and has been an important hub for getting relief to islands more badly affected. Islanders are encouraged to seek refuge. US Virgin Islands and British Virgin Islands: Both island chains suffered severe damage from Irma. British authorities fear debris left behind by Irma could be whipped up by the new storm and pose an extra threat. Yesterday, President Donald Trump declared a state of emergency for the US territories. Stay tuned to: www.eac-relief.org for further updates and how you may make donations to assist with the Recovery process. This entry was posted in Uncategorized on September 19, 2017 by davidboan2013. In the aftermath of Hurricane Irma that battered the Caribbean, 37 persons have died. More than 200,000 people need aid. Water, food and necessities are scarce. Rationing is limited. Housing needs are great…residents have no place to go. There is a tendency for the wider global community to forget this region. The Caribbean is considered a remote place. We are told that it is a challenge to deliver supplies quickly, cheaply and adequately. Irma cut a path of destruction through parts of the Caribbean, including the Cuba, Puerto Rico, Dominican Republic, USVI and British Virgin Islands, killing at least 34 people. In the U.S. Virgin Islands, authorities say four people died on St. Thomas. Irma’s winds ripped off the roof of the island’s only hospital, and U.S. military helicopters have evacuated critically ill patients to St. Croix, which suffered only minor damage in the storm. Irma wiped out all the electricity and telephone service on St. John, the smallest of the three major U.S. Virgin Islands, and knocked out about 70% of the utility infrastructure on St. Thomas. St. Croix’s Henry E. Rohlsen Airport is open for commercial traffic, but the airport on St. Thomas is focused on hurricane relief efforts. St. John has no airport. The BVI Health Services Authority has advised that Peebles Hospital remains functional and open. Persons needing emergency services are advised to go to the emergency department. Persons with cuts and bruises are advised to go to the Road Town clinic at Peebles Hospital for treatment. Turks & Caicos Islands: The extent of the damage on the Turks and Caicos Islands is still sketchy. Internet connection is spotty. Everyone is in clean up mode. Some businesses have resumed at least half day. Many schools will be out for a few weeks minimum as most sustained damage. 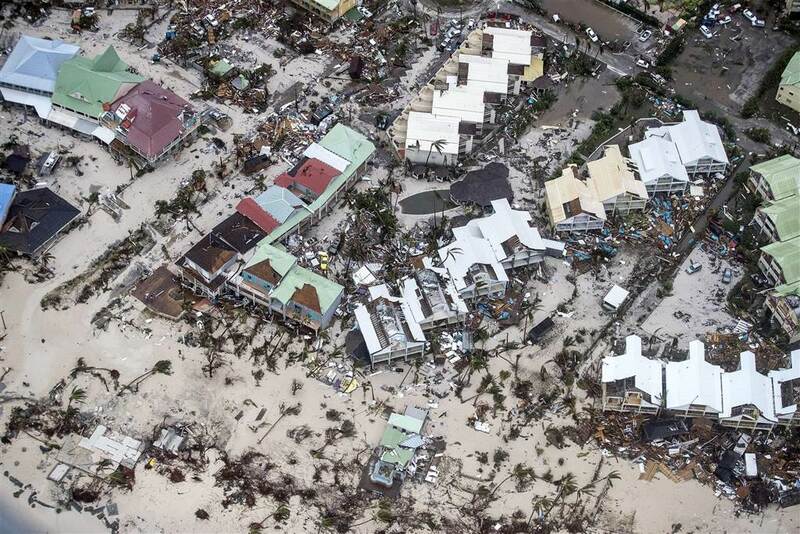 On Providenciales, 3 villages sustained more than 85% damage. And on 2 other islands there was over 90% infrastructural damage. Residents on the 12 islands face a large rebuilding effort. This entry was posted in Uncategorized on September 15, 2017 by davidboan2013. The Evangelical Association of the Caribbean (EAC) calls on churches and believers around the world to pray for those affected by historic hurricane Irma. This entry was posted in Uncategorized on September 8, 2017 by eacrelief.